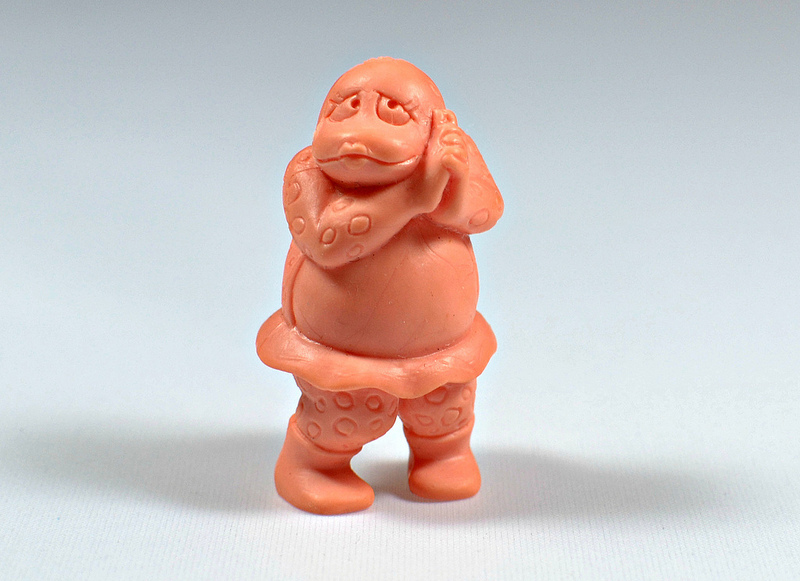 What: I've been collecting M.U.S.C.L.E. figures for as long as I can remember, but it wasn't until a few months ago that I finally got a few figures from the Japanese Kinnikuman toy line from which the American figures originated. 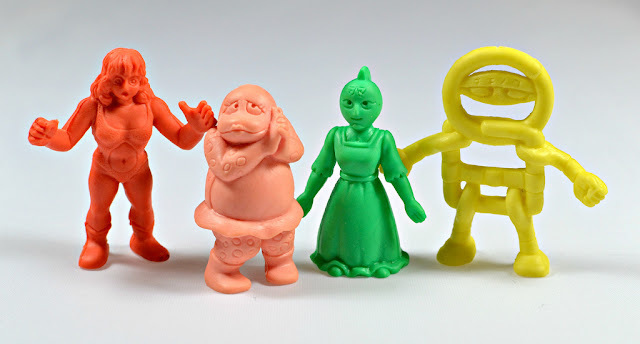 Many of the Japanese Kinnikuman figures, known as "kinkeshi" (which combines Kinnikuman with "keshi," the Japanese term for little rubber figures), were turned into M.U.S.C.L.E.s, but there were also a bunch that weren't carried over to the Western line. The strange assortment of characters above shows a few of those. There were actually some female characters in the Japanese line--see the red Bibinba and green Queen Kinniku above for a couple examples. And oh, a gay, cross-dressing monster named Okamaras (hmm, I am sure it was a completely unplanned that Mattel decided not to carry him over to the American line...). 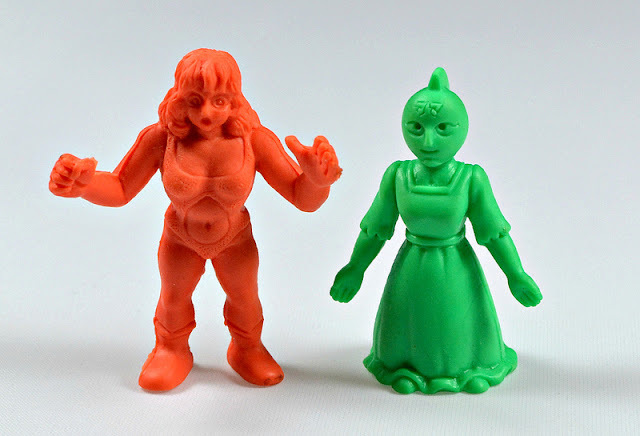 Another thing to note about these is that the material is much softer and more eraser-like than that of M.U.S.C.L.E.s. 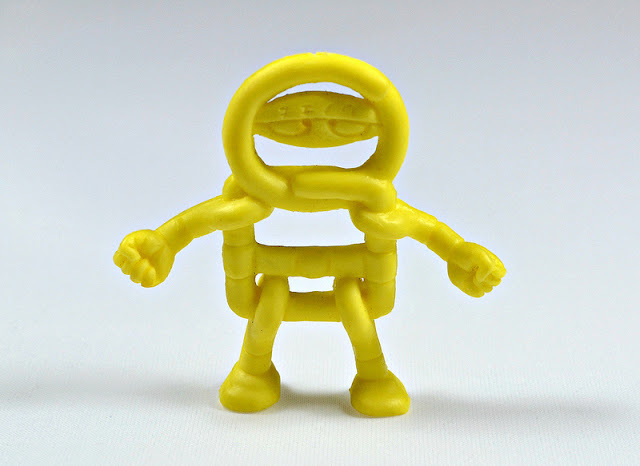 When: According to this Kinnikuman Wiki, the kinkeshi line was launched in 1983 (two years before M.U.S.C.L.E. toys came out).